This one bedroom apartment is located in the well maintained complex Eva, in the popular resort of Los gigantes. It is only a five minute walk into the town center, a ten minute walk to the beach and all local amenities. It has been renovated and furnished to a fresh and modern standard allowing you the pleasure to move in straight away, without having to do any further work. It has a separate fully fitted kitchen, dining room, a spacious living room with access to the large sunny terrace where you will get amazing sea and cliff views. 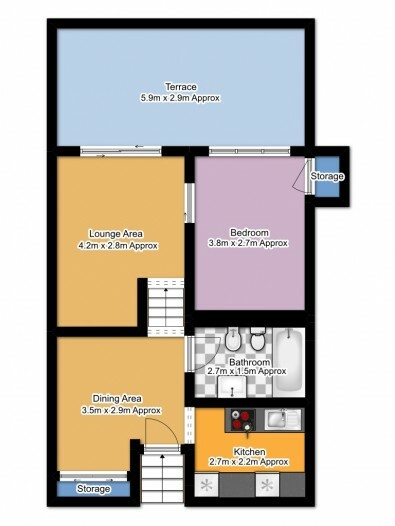 This apartment is perfect for a little family or a holiday home. Viewings recommended.